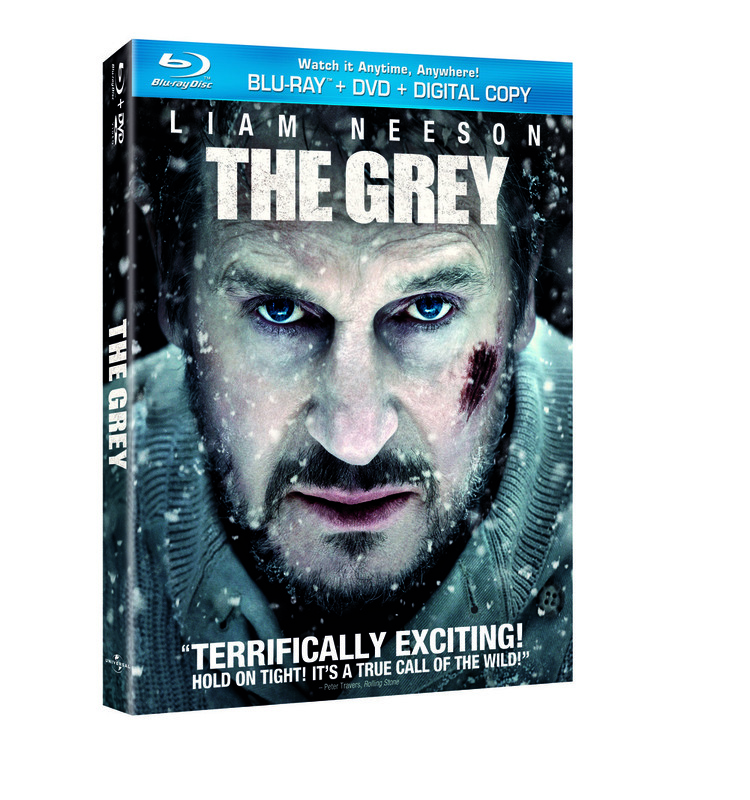 Joe Carnahan's The Grey is arriving on Blu-ray Combo Pack with Ultraviolet, DVD, and Digital Download from Universal Pictures Home Entertainment. The thriller stars Liam Neeson, Dermot Mulroney, Frank Grillo, James Badge Dale, Joe Anderson, Dallas Roberts, and Nonso Anozie. Read my theatrical review of the film here, and stay tuned for my Blu-ray review closer to release! Directed by Joe Carnahan (The A-Team, Smokin Aces) and starring Dermot Mulroney (J. Edgar, Big Miracle), Frank Grillo (Warrior, Minority Report), James Badge Dale (Shame, The Departed), Joe Anderson (Across the Universe, Love Happens), Dallas Roberts (3:10 to Yuma, Walk the Line) and Nonso Anozie (Atonement,RocknRolla), The Grey has been proclaimed “Spell-binding!” by Chris Parente, KDVR-TV FOX, and “intense, action-packed and smart” by Kevin McCarthy, CBS Radio. The Grey Blu-ray™ Combo Pack delivers the film in perfect hi-def picture and perfect hi-def sound and features bonus content including deleted scenes and feature commentary byco-writer and director Joe Carnahan and editors Roger Barton (Transformers: Dark of the Moon) and Jason Hellmann (G-Force). The Blu-ray™ Combo Pack also includes UltraViolet™, a DVD, and a Digital Copy of the film – so consumers can truly enjoy the movie anytime, anywhere, on the device of their choice! UltraViolet™ is the revolutionary new way for consumers to collect movies and TV shows and put them in the cloud. From there, they can download and stream instantly to computers, tablets and smartphones. In addition, consumers can redeem a Digital Copy of the film from a variety of retail partners, who offer many viewing options including iTunes®, iPad®, iPhone®, iPod™touch,Android, connected televisions, Blu-ray player apps, and more! Picture-in-Picture: Featuring pre-visualization and storyboard comparisons of some the film’s most exciting scenes. Liam Neeson stars as John Ottway, a sharpshooting wolf hunter who becomes an unlikely hero, leading a group of oilrig roughnecks on a death-defying backwoods trek through the Alaskan wilderness. When a plane transporting them to Anchorage crashes on a remote mountaintop, eight survivors must find their way back to civilization or perish in a frozen wasteland. With Ottway as their guide, the ravaged group faces hostile terrain with limited supplies. Most terrifyingly, they are stalked by a pack of fierce and cunning wolves. In order to survive, they will have to turn the tables on the ferocious predators in an unparalleled wilderness adventure.